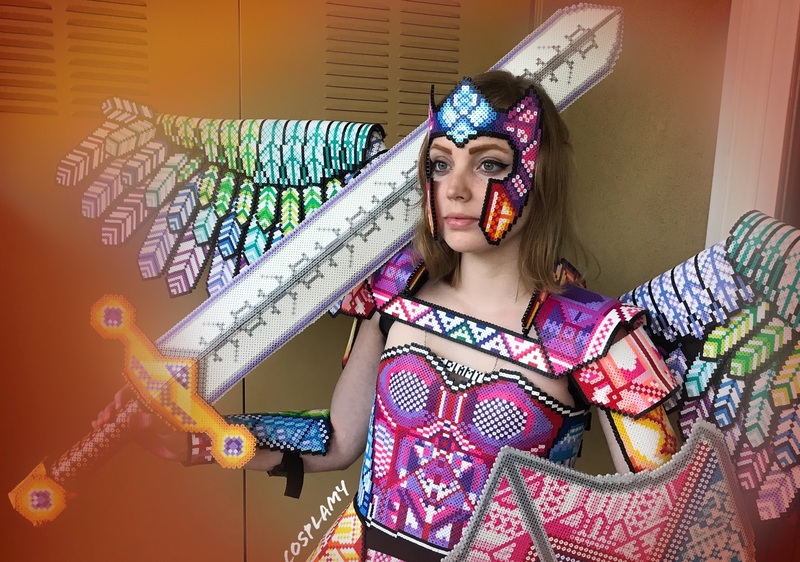 “Added some epic wings to accompany my previous Perler Bead Armor set,” says Cosplay Amy. Holy cow this is beautiful and extremely committed. It's so gorgeous. Wings are made from 160 individually ironed “feathers” which are ironed flat and sewn onto a large piece of EVA Foam. I used PVC pipe to support the wings due to the fact that each side weighed 7+ lbs. More photos and videos on Instagram: @Cosplamy. If you like her work, donate to her cosplay fund! These fabulous outfits don't grow on trees, unfortunately.